Carrasquinho I. (ed. ), Correia A.C. (ed. ), Mutke S. (ed.). Mediterranean pine nuts from forests and plantations. Zaragoza : CIHEAM, 2017. 132 p. (Options Méditerranéennes : Série A. Séminaires Méditerranéens; n. 122). 2. International Meeting on Mediterranean Stone Pine for Agroforestry : AgroPine2016, 2016/05/18-20, Oeiras (Portugal). Mediterranean pine nuts kernels, the seeds of Pinus pinea, are among the world’s most expensive nuts, with a value chain of several hundred million euros annually. Cones are still mainly wild collected from 0.7 million hectares stone pine forests in the Mediterranean area. In the last twenty years, its cultivation as nut crop has been increasing, approximating 0.3 million hectares of new plantations in its home range, and incipiently in New Zealand, Australia and Chile. Domestication is advancing and first registered clones with outstanding cone production have been released for graft scions. In this panorama, the 2nd International Meeting on Mediterranean Stone Pine for Agroforestry - AgroPine 2016 took place on 18th-20th May 2016 in Oeiras, Portugal. The meeting brought together more than 80 experts, researchers, public and private forest managers and land owners, as well as pine cone processing enterprises from Portugal, Spain, Tunisia and Turkey, with some participants from France, Italy, Lebanon, and Australia. The five topics discussed during the meeting were: Management for cone production in forests and agroforestry; Growth and yield; Genetic improvement; Biotic risks and their impact on stone pine products; and Pine nut value chain. 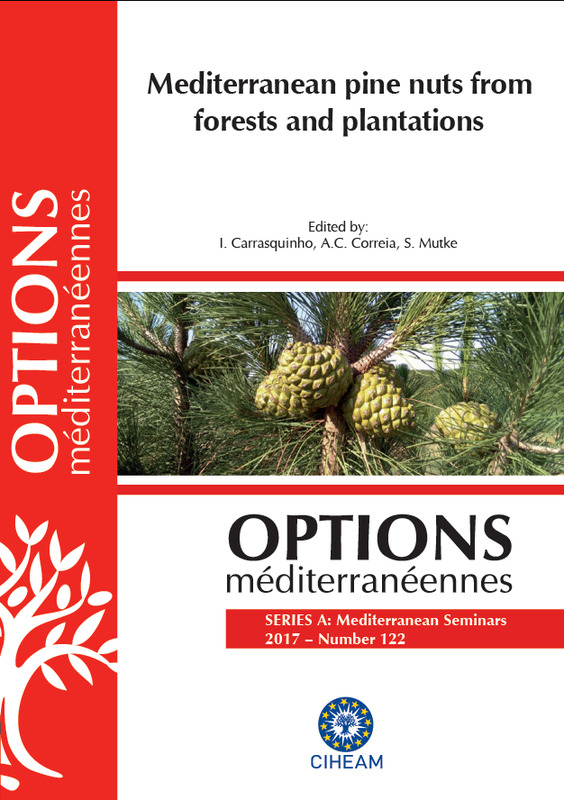 The present issue of Options Méditerranéennes Series A comprehends the proceedings of the meeting, with 14 full articles from the contributions presented at the Meeting. Grafted stone pine plantations for cone production: trials on Pinus pinea and Pinus halepensis rootstocks from Tunisia and Spain.